Hospital patients, including young children and the elderly, are most vulnerable to the harmful health effects of air pollution, especially those suffering with respiratory conditions. A recent study found 60 per cent of hospitals and NHS facilities in inner London are located in areas that exceed the legal limit for air quality pollutants*. The Mayor’s new hospital monitors will support the NHS by providing real-time air quality measurements that will allow health professionals to take appropriate action to protect patients and employees – for example, warning patients about high pollution episodes and advising which hospital entrances have the lowest levels of pollution. The first monitor is already up and running at St. Bartholomew’s Hospital, with others due to be installed shortly at the Trust’s other three hospitals The Royal London, Whipps Cross and Newham Hospitals, as well as at Great Ormond Street Hospital, the Royal Free Hospital, Guy’s Hospital and St Thomas’ Hospital and other NHS sites in London. 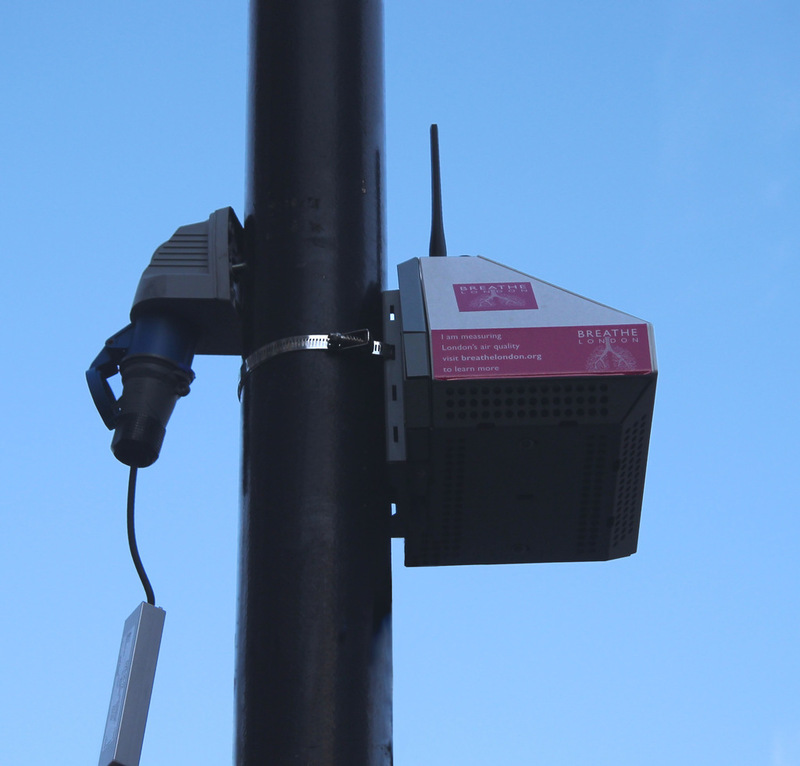 The monitors are part of Sadiq’s work to deliver the world’s most advanced and comprehensive network of air quality monitors in London to help investigate and improve London’s toxic air. The Mayor of London, Sadiq Khan said, “Vulnerable hospital patients are more susceptible to the harmful effects of our toxic air pollution health crisis that harms lung growth and is linked to asthma, cancer and dementia. I am working with London’s leading hospitals to install air pollution monitors and help find new ways to reduce pollution and protect patients. NHS staff to be better informed about air pollution, associated health risks and able to give vulnerable patients appropriate advice. Great Ormond Street Hospital (GOSH) and Global Action Plan have published their new Clean Air Hospitals Framework and recommended installing air quality monitoring at NHS sites.